It is an observation that neatly encapsulates both the scale of this novel’s ambition and its most distracting tendencies, the first of which is in evidence right from the start. 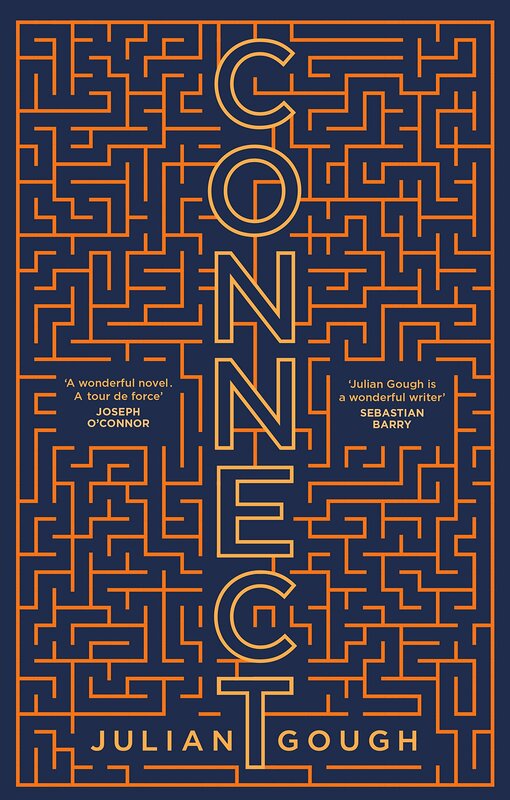 Set in the near future, Connect focuses on the teenage Colt and his mother, a geneticist named Naomi Chiang who has discovered a potent alternative to stem cell therapies. Based on the imaginal discs that are instrumental to insect metamorphosis, Naomi’s technique, if developed, could allow complex body parts – and even brain tissue – to be rapidly regrown. Colt, who spends much of his time immersed in a virtual gameworld, is affected by a condition that resembles Asperger syndrome. Pinocchio-like, he wants to be a ‘real boy’, and sees that promise in his mother’s work. Distrusting her own findings, Naomi has been reluctant to publish them, but her research has already attracted attention. The NSA, now entirely delinquent and vastly powerful, has spotted its military potential and wants it suppressed. When Colt persuades Naomi to give a conference paper, the two are promptly apprehended and, in time-honoured fashion, whisked away to a secret base in Nevada. Colt, however, has been busy. He has stolen into Naomi’s lab, intent on engineering a neurotypical brain, and injected himself with an untested imaginal disc. It is a touching scene, and no less so for its playful deference to superhero origin stories. It proves to be pivotal, too, not least because Colt, as tradition requires, has been granted not just the abilities he coveted, but lots more besides. His brain is now stuffed not only with an outsize corpus callosum (a structure implicated in autism spectrum disorders), but with an intricate tissue of upgrades generated from insect neurons. These enable Colt to escape from the NSA’s desert fortress, to keep ahead of the ensuing manhunt and to confront the ‘immune system’, a terrifying digital panopticon developed (in a pleasing Oedipal flourish) by his own father. In fiction as in film, unchecked superpowers tend to alienate the audience. These episodes are propulsive and engrossing, but life with the newly enhanced Colt isn’t all fun and games. To begin with, his condition is not in any sense ‘cured’, a development that would be inconsistent with Gough’s sophisticated and sympathetic presentation of autism. Far from exploiting it as a narrative contrivance (as other novelists have repeatedly done), he is at pains to show us the richness and complexity of experience of the atypical brain. This too is a familiar trope, and one that becomes increasingly problematic. In fiction as in film, unchecked superpowers tend to alienate the audience (superheroes have human alter egos for a reason) and to rob the drama before us of a necessary friction. Much of the remaining conflict is between an implacable artificial intelligence and Colt’s own hypertrophied intellect, and although he suffers setbacks – and faces a final challenge that requires a uniquely human solution – it is a contest largely devoid of emotional interest. What we are left with amounts to a frenetic livestream from Colt’s prodigious consciousness, relieved only by hyperactive digressions on everything from particle physics to cryptography, strange authorial intrusions and an onerous ballast of epigraphs (we don’t need constant interruptions from Bertrand Russell or Ray Kurzweil to appreciate the extent and eclecticism of Gough’s reading). Yet for all its helpless excitability, there is plenty of real excitement in this novel, and a spirit of joyous curiosity that may strain our patience at times but never quite loses its charm. What Gough attempts here is to describe everything at every level, and the effort is in many ways hugely admirable. But fiction subsists on human experience, and it is better, as Colt reminds us, to describe things at the level at which they make most sense.